If you are interested in an institutional subscription, please contact your regional sales representative, or our sales office, by registering your interest below. A BMJ sales representative will contact you within three business days. Subscribe today and your institution will enjoy full access to the International Journal of Gynecological Cancer – a premier educational journal in gynecologic oncology. Subscribe today and get immediate access to new and archive content, dating back to 1991. 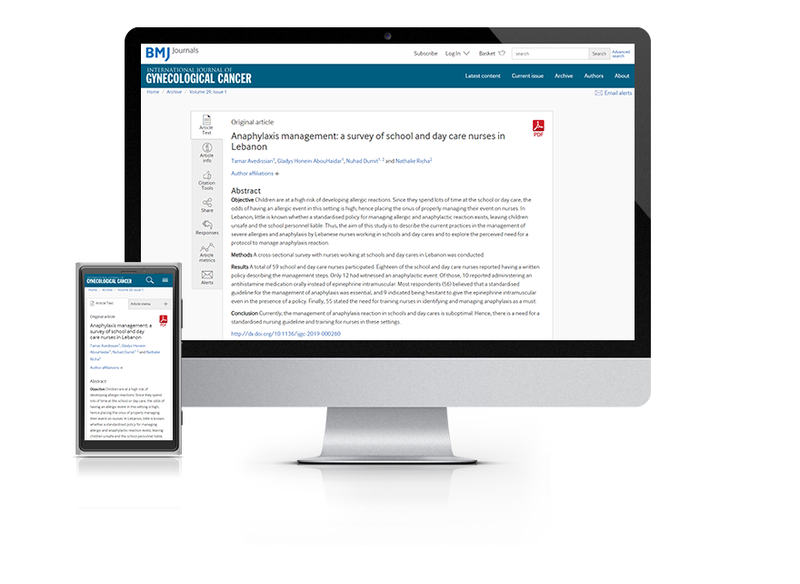 If you have any further queries about your subscription, please contact our customer services team on +44 (0)20 7111 1105, (855) 458-0579, or via email at support@bmj.com. Learn more about the International Journal of Gynecological Cancer.